After imposing nearly half a year in detention, Sudan has now released one Christian minister, while still keeping a second without legal access, pending possible charges of “undermining national security”. On Tuesday, 10 May, the National Intelligence and Security Services (NISS) released 36-year-old Telahoon (Telal) Nogosi Kassa Rata from Khartoum’s Kober prison, sources in Sudan said. NISS agents contacted Rata’s father, telling him to collect his son, who local sources confirmed was in “good health”. 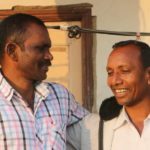 Since his as-yet unexplained arrest on 13 December, 2015, the leader of Khartoum North (Bahri) Evangelical Church was allowed no access to his lawyer. His parents were allowed to visit only twice, on 17 December and 26 March. The Christian worker’s parents tried to visit him on many other occasions, but each time they were prevented from doing so. Rata’s file is still with the Attorney General. It is unknown if he will face charges. Meanwhile Rev. 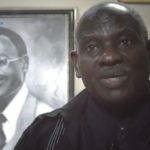 Hassan Abduraheem Kodi Taour, the outgoing Secretary General of the Sudan Church of Christ (SCC), remains in detention and has been denied any access to his lawyer. But on 15 May, Rev. 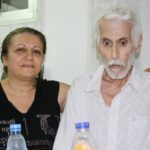 Taour’s family was allowed to visit him for the first time since his arrest from his home on 18 December. Sources, requesting anonymity, reported that Rev. Taour faces several serious charges related to “undermining national security”, charges Sudan has previously used after prolonged detentions of Christians. Until now both Rata and Taour have endured unlawful detentions without charges and have been kept mostly incommunicado. Rev. Taour appeared in court briefly on 16 May for the transfer of his case from the NISS to the prosecutor’s office. The date of his next court appearance has not yet been announced. According to Sudanese law, 45 days from arrest a detainee should either appear before court or be released, a rule which was not followed in either Rata’s or Taour’s case. A number of other Christian leaders are still thought to be subject to restrictions. The day after Rev. Taour was taken from his home in Omdurman, west of Khartoum, another SCC leader, Rev. Kuwa Shamal, was detained from his home north of the capital. Shamal was released days later, but has been required to report daily to the NISS. The condition was briefly suspended in January, but was later reinstated. At times, the pastor was obliged to stay at the NISS offices for extended periods, heavily impacting his pastoral work. Other Christian leaders, including Ayub Tilyab, Yagoub Naway (both SCC pastors), Rev. Philemon Hassan, and Rev. Yamani Abraha of Khartoum El Izba Baptist Church, have been alternately arrested, released, and then made subject to daily NISS reporting, World Watch Monitor has learnt. It is not the first time Khartoum has detained Christians unlawfully, before failing to prove serious charges later brought up against them in courts. 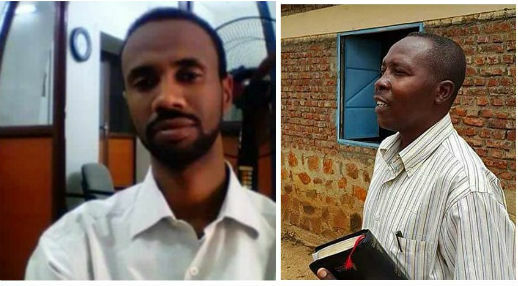 In August 2015, Khartoum released two South Sudanese pastors, whom it accused of “spying”. Yat Michael and Peter Yen were in prison for eight and seven months, respectively. Mariam Ibrahim, a Sudanese Christian accused of being an apostate from Islam, was released in June 2014 after a global outcry. Earlier in 2014, Ibrahim was sentenced to death for apostasy, and flogging for “adultery” (marriage to a South Sudanese Christian). During her six-month incarceration, she gave birth to her baby girl, while shackled to the floor. Her 20-month-old son, Martin, was held with her in prison. “Torture and arrest of converts from Islam is also commonplace,” Fahmi added. 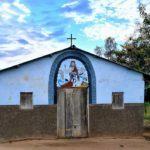 According to the 2016 Open Doors’ World Watch List, Sudan is ranked 8th in a list of 50 countries where Christians face persecution worldwide. 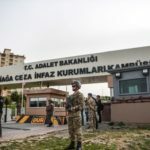 The predominantly Muslim country has a rating of “extreme” and has remained among the top 10 offenders for the past two years.